Busy Moms shows off lots of animal babies and their moms. 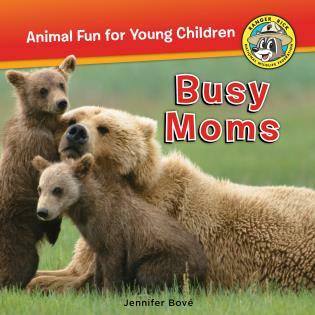 Learn about North American animals through full color photographs and illustrations, and educational, entertaining text. Ranger Rick Jr. books appeal to the youngest children starting to learn about the natural world around them. These small books are a great way to start your child’s first library. Jennifer Bové is a long-time contributor to Ranger Rick Jr. magazine and Your Big Backyard.